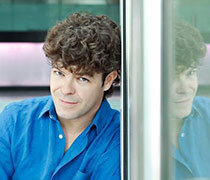 This piano performance is part of a year-long international series of concerts celebrating the 80th birthday of Maestro Achúcarro, one of Spain’s greatest classical musicians. 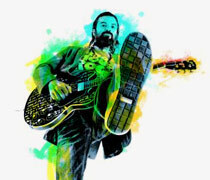 Javier Limón will offer for the first time a workshop geared toward professionals from the world of music including singers, composers, producers, sound technicians and record producers. 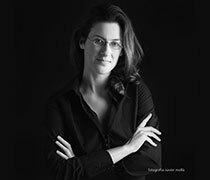 Coral Cantigas presents a concert of choral music from Spain with classical guitarist Magdalena Duhagon. 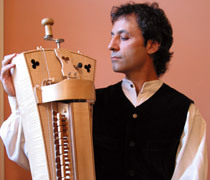 Remate's USA Tour in Washington, D.C. 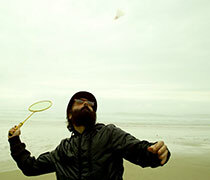 Right after his shows in Austin at the SXSW Festival, Remate will tour the East Coast to present his latest album Una Araña a Punto de Comerse una Mosca. 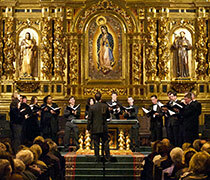 San Juan Capistrano-based a cappella choral group de Angelis pays homage to its home performance space—the Mission San Juan Capistrano, the birthplace of Orange County—with the music of Spain. 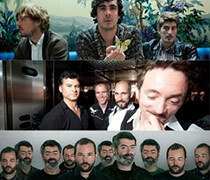 Some of the Best Spanish Rock bands will tour the U.S. starting with the great Indie Music Festival South by Southwest. 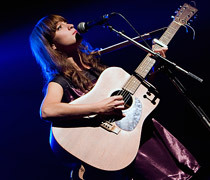 Tulsa will go on an acoustic tour right before their shows in SXSW, which will connect New York and Austin with stopovers in several cities such as Washington D.C., Nashville and Atlanta. 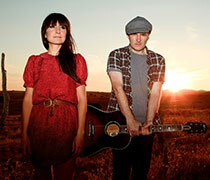 Tulsa's 'Road Trip Tour' in Washington, D.C. 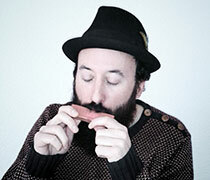 This Jazz Standard special event commemorates the release of Cristina Pato’s new Sunnyside album, Migrations, presented in association with the Barcelona Jazz Festival. 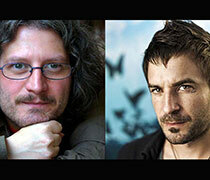 Focus on Eötvös will include the world premiere of his Concerto for Violin and Chamber Orchestra as well as a Green Umbrella staging of his operatic setting of Tony Kushner's Angels in America. 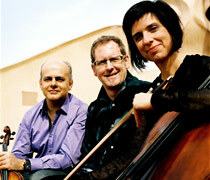 LA Grand Ensemble performs Shostakovich, Colomer, and Mahler as part of ALOUD program. Spanish rock singer and songwriter Enrique Bunbury will visit 7 cities more in the U.S. presenting his new album Licenciado Cantinas. 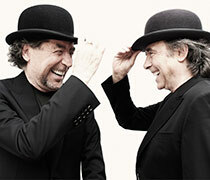 Following the success of their first tour together, Dos Pájaros De Un Tiro, Joan Manuel Serrat and Joaquín Sabina embark on a second tour, Dos Pájaros Contraatacan. 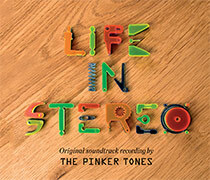 The tour will feature performances by Die Antwoord (live), Azari & III (live), Seth Troxler, Paul Kalkbrenner (live), Tiga, Gesaffelstein and Nic Fanciulli. 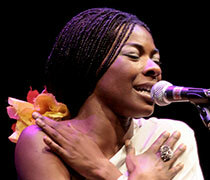 [Canceled] Concha Buika live in Washington, D.C. 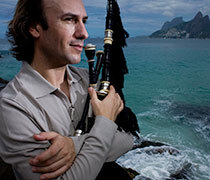 The Jimi Hendrix of the Bagpipe’s foray into the pathways of the Galician diaspora took him to Brazil to research and create his latest major work, Alborada do Brasil. 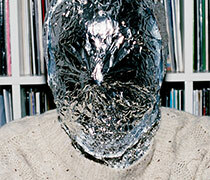 John Talabot will be supporting the band on a run of dates. Connections: Celtic & Latin Music. 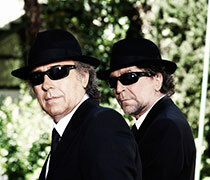 The iconic Latin rock group that received a 2011 Latin Grammy nomination will tour the U.S. with its 8th album ¿Y Ahora Qué Hacemos? 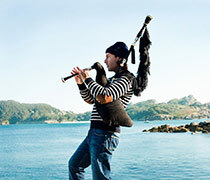 A multimedia concert created and performed by the well-known Basque musicians Mikel Markez and Eñaut Elorrieta. 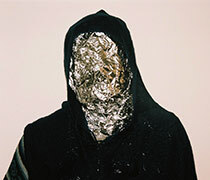 John Talabot and fellow musician Pional will perform a live show using keyboards, percussion, electronic and acoustic instruments, and of course, vocals. 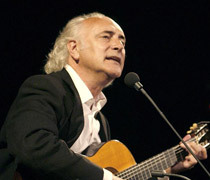 Carlos Núñez live in Washington, D.C. 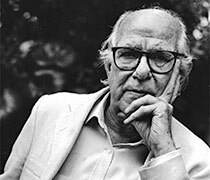 In Celebration of the Centenary of Xavier Montsalvatge. Roundtable Between Europe and the Americas at the Instituto Cervantes New York. 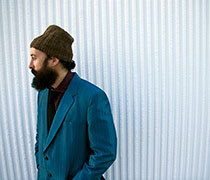 John Talabot: 'USA Debut Live Set' in Washington, D.C.
Pianist Peter Schaaf has received rave reviews for his 2011 CD recording of Iberia, the monumental, virtuosic, and deeply moving masterpiece by Isaac Albéniz. 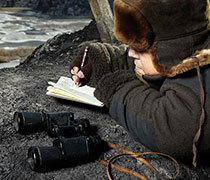 After a successful 2008-09 tour, Russian Red is back with her eagerly anticipated second album, Fuerteventura. Spain's unrivaled queen of urban music will present a powerful show with verses flowing up from her gut and shot off her rapid-fire tongue in her U.S. debut tour. 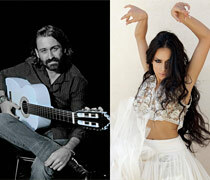 La Mala Rodríguez live in Washington, D.C.
Flamenco Soul offers an up-close look at the flamenco and Latin sounds coming from Spain and the Americas. 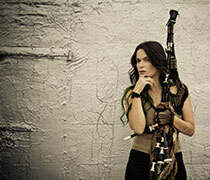 This summer Amaral will be crossing the pond to perform at selected locations during a West Coast tour in the United States, promoting the U.S. release of their sixth album Hacia Lo Salvaje. 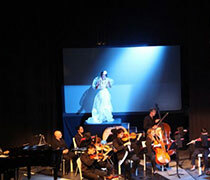 The New York Times calls her unique blend of flamenco, jazz, soul and blues, "luminous… magnificent… superb!" 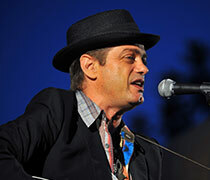 Few artists in the Spanish rock arena truly deserve the title of living legend. One of them is Santiago Auserón, better known as Juan Perro. 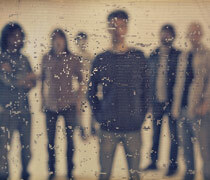 The Barcelona-based band is celebrating 10 years of critical and commercial success with upcoming shows in California and Texas. 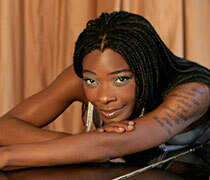 Concha Buika will present her last work En mi piel in Puerto Rico. 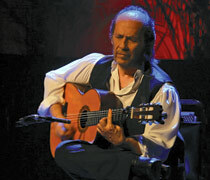 Inarguably the most iconic artist of Spanish musical culture and heritage, Paco de Lucía finally breaks his 5 year silence with a 16-date USA tour from April 2012. 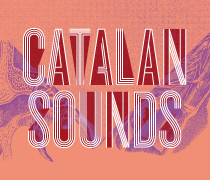 The New York Opera Society and the Embassy of Spain proudly present Sounds of Catalonia to celebrate masterpieces by Picasso and Miró at The Kreeger Museum. 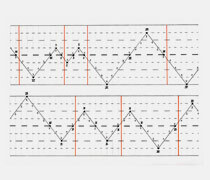 Sounding graphics, painted music, choreographed drawings… performers dressed as monsters that meow and wear dog collars, and also read a score with their hands. 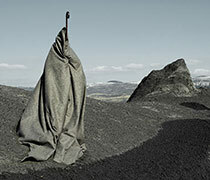 Still not familiar with Sonia Megías’ work? 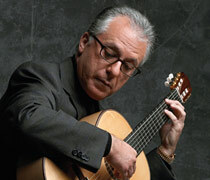 Don't miss Pepe Romero's final performance of the 2011-2012 Marlow Guitar Season. 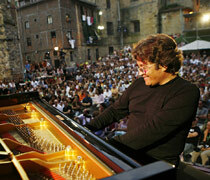 Renowned Spanish Pianist Chano Dominguez will be playing as part of the series Flamenco Sketches organized by SFJAZZ at YBCA. 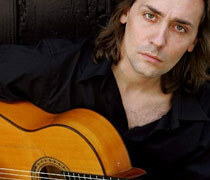 Championed by maestro Paco de Lucía as the next great flamenco star, Spanish guitarist Vicente Amigo plays in Flamenco Sketches organized by SFJAZZ at the Herbst Theatre. 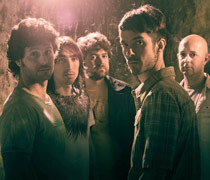 9:30 Club presents Vetusta Morla live in Washington, D.C.
First U.S. tour of the band that exploded onto the Spanish indie music scene by releasing their own records that became chart toppers. 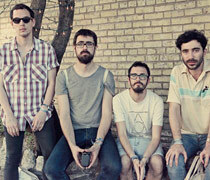 After their participation at the South by Southwest Festival, the best of Spanish indie music arrives in Chicago. 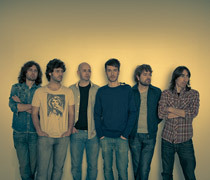 In 2012 Sounds from Spain crashes the SXSW party with seven explosive new acts: Bigott, Furguson, L.A., Za!, Guadalupe Plata, Quique Gonzalez and Vetusta Morla. 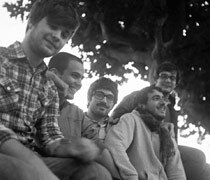 Catalan bands Muchachito Bombo Inferno, Mujeres, Seward, The Suicide of Western Culture, Furguson, L.A. and ZA! 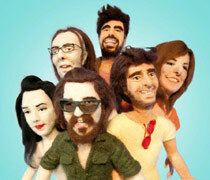 play at the 2012 SXSW Festival, supported by Institut Ramon Llull. 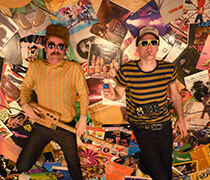 Furguson are on their first U.S. and Canada marathon tour and will stop at New York City, Washington, Philadelphia, Austin, Milwaukee and Chicago. 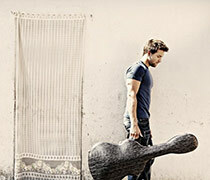 Artisphere presents La Shica, winner of the 2011 Spanish Music Award for Best New Act. 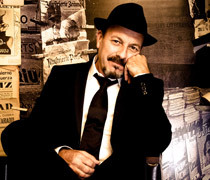 Furguson Live in Washington, D.C.
La Shica, Muchachito Bombo Infierno and Canteca de Macao join Flamenco Festival USA 2012. 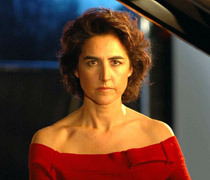 Acclaimed pianist Rosa Torres-Pardo performs beloved Spanish classics including compositions by Granados, Albéniz and Falla, accompanied by flamenco singer Rocío Márquez. 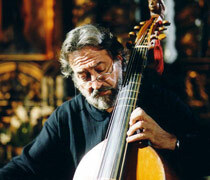 Casals Festival de Puerto Rico presents the great Spanish director and musician Jordi Savall in concert on March 4th. 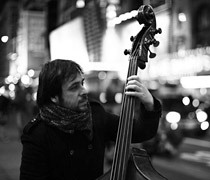 Javier Moreno, double bass player and composer based in New York, mixes contemporary jazz with the impressionistic Mediterranean legacy of Federico Mompou and the folk roots from Enrique Granados. 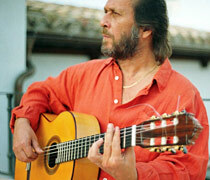 One of the finest Spanish guitarists, about Spanish music and the importance of Flamenco. 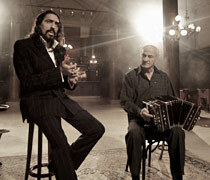 A powerful concert of Gypsy Flamenco and Jazz. 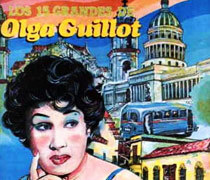 Lecture on the romantic Cuban music of the 50's at Instituto Cervantes New York. 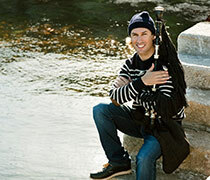 Piano recital by Spanish music specialist Adam Kent, with guest artist clarinetist Pavel Vinnitsky. 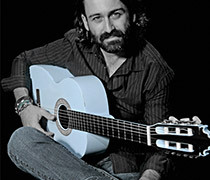 Composer, arranger, guitarist and singer Javier Ruibal is a self-taught and unorthodox "musician on the frontiers." 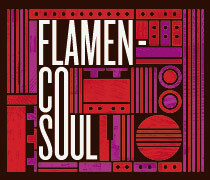 A fusion of flamenco and Latin American jazz show featuring Spain’s top young Flamenco artists and some of Berklee's finest performers. 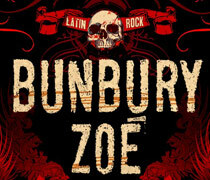 Bunbury and Zoe go together on Tour in the United States. 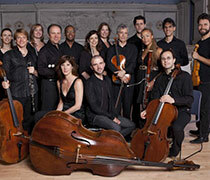 This Spanish ensemble performs at the International Chamber Music Series of the University of Washington. 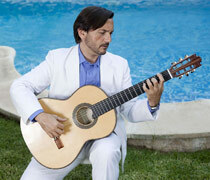 The renowned flamenco singer Diego ‘El Cigala’ presents an evening during which flamenco and tango join bands. 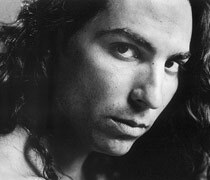 The most popular flamenco singer is back in Miami with a show that will include the standard hits that made him a world star. 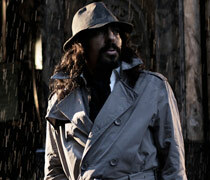 Latin Grammy awarded Spanish singer Diego El Cigala will headline 6th Annual Flamenco Festival in San Francisco Bay Area. 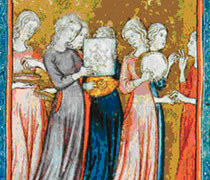 La Música Encerrada: The Spain of the three cultures from the XII – XVI Centuries. 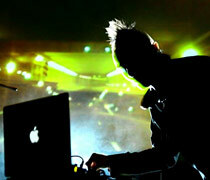 Electro music and visual art session by DJ Digital 21 as a part of the first ever Washington DC’s Nuit Blanche. 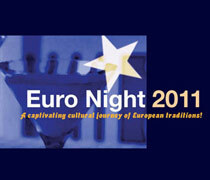 A captivating cultural journey of European traditions. 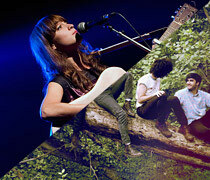 Don't miss this award-winning Spanish band perform live at the Stage Theater. 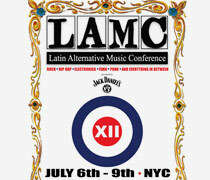 LAMC is the only major conference geared towards the marketing of Spanish-language alternative music — the voice of today's Latinos. The Ibero-American Cultural Attachés Association invites you to celebrate the 7th Latin Party on June 10th, featuring a silent auction, an open bar, snacks, music by DJ Rainier, and lots of fun and dancing. 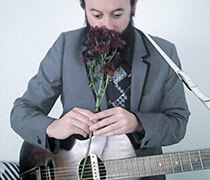 Guitarist, vocalist, and composer Amancio Prada will perform an evening of songs inspired by the work of Spanish dramatist and writer Garcia Lorca. 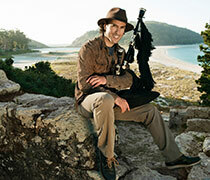 Traditional Hispanic ballads performed by the renowned Spanish folklorist, scholar and musician Tomás Lozano. 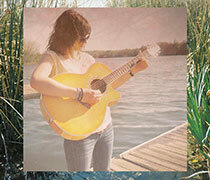 The alternative pop band from Barcelona performs in Washington, D.C.
Set to release her second album this spring, Russian Red (Lourdes Hernández) —one of Spain’s most popular artists— has a style reminiscent of the simple, poetic approach of Joanna Newsom. 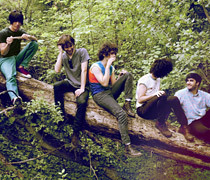 Fresh off of the release of their debut album Getting Down From the Trees, Polock was named NPR's Album of the Month. 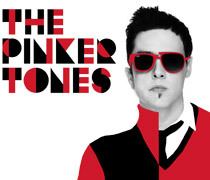 A taste of the thriving moment of Spanish Rock will be on display at the South by Southwest® (SXSW®) Conferences & Festivals. Led by pianist and Madrid native Ariadna Castellanos Rivas, and composed of great musicians from Spain, Puerto Rico, and the Middle East, Berklee Flamenco will explore the soul-stirring musical traditions of the Mediterranean rim. 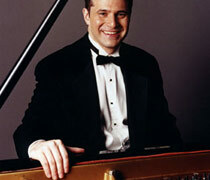 The Casals Festival of Puerto Rico presents Spanish cellist Pablo Fernandez in concert with pianist Félix Rivera Guzmán. 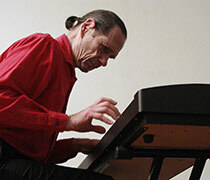 José María Vitier (born January 7, 1954) is a Cuban music composer and pianist. He has made music for movies and television, as well as compositions for piano, symphonic orchestra, chamber orchestra, among other formats. 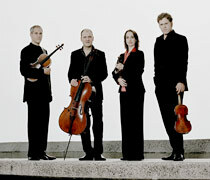 Since its founding in 1997, Cuarteto Casals has quickly become recognized as one of Europe's most distinguished string quartets. 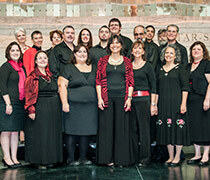 This Spanish ensemble has garnered extensive critical acclaim and won top prizes at international competitions. 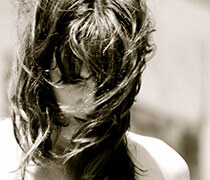 Both Cristina Rebull and Lázaro Horta were born in Cuba and have been strongly rooted in Miami for more than a decade. 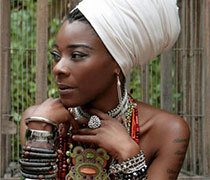 Rebull has performed in several countries and and she’s considered one of the greatest exponents of Cuban music of all times. 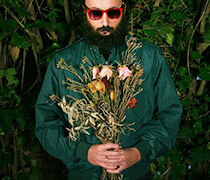 Horta's voice puts him in the traditional "romantic style". 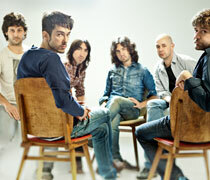 They will get together again for the seventh season of the Música y aparte. 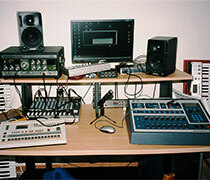 You are viewing our Music archive.